As part of the AutoFile enrollment process for Colorado, you'll need to grant TaxJar access in your Colorado Revenue Online account. The state requires this step to allow TaxJar to file your returns. The steps may vary, depending on whether you are enrolling for the first time or updating an existing enrollment. Steps for both scenarios are below. 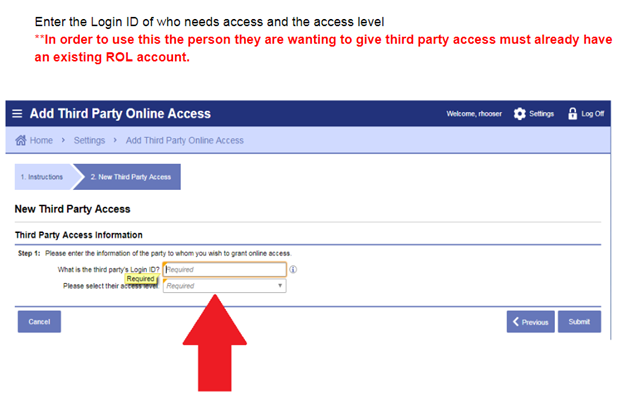 Please note, you must have "Full Access" in your own Colorado Revenue Online account to approve access for TaxJar. 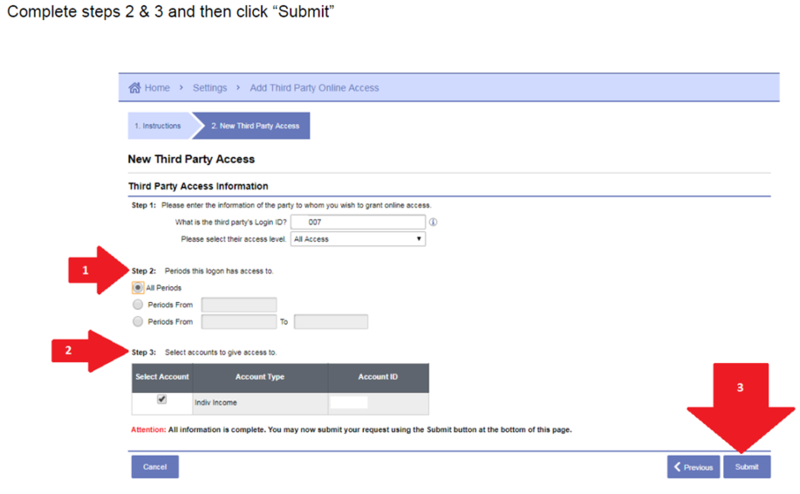 Note: Our Login ID is "TaxJar" and you'll need to grant "File and Pay" access in Step 1 (above). On Step 2, choose All Periods. On Step 3, check the box next to your "Sales Tax" account. 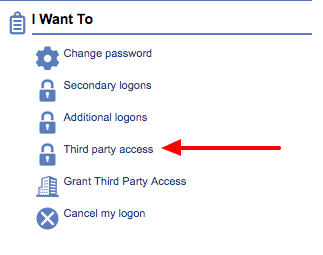 2) Visit your Settings, then "Third Party Access"
3) Next, choose the username "TaxJar" from the "Logons" section and make sure that "TaxJar" has the appropriate access (File and Pay) to your sales tax account.